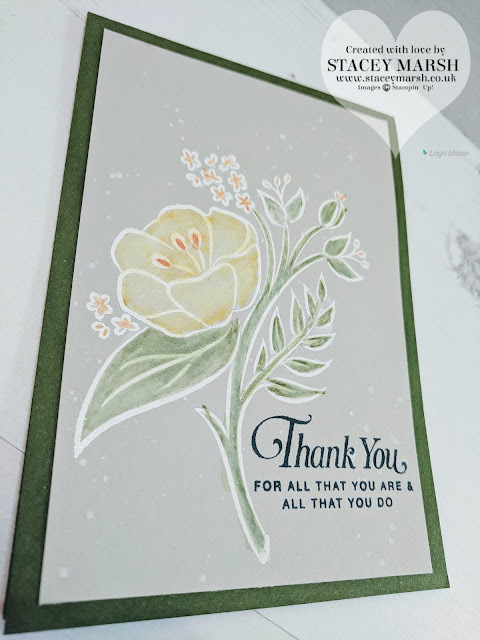 Another day and another card for you. 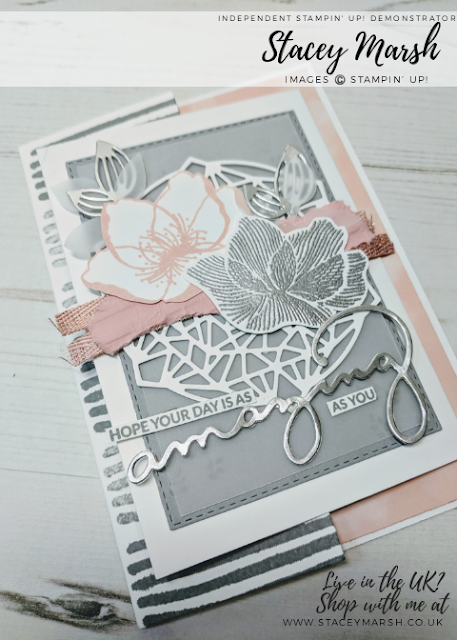 Following on from yesterday’s post I have use the Beautiful Promenade Stamp Set to create today’s card. This time I have used Lemon Lime Twist as my main colour mixed in with some Smoky Slate and Whisper White. Lemon Lime Twist is one of the 2017-2019 in-colours that will retire at the end of May this year. It’s such a bright neon green that goes with almost everything and has been such a popular colour! 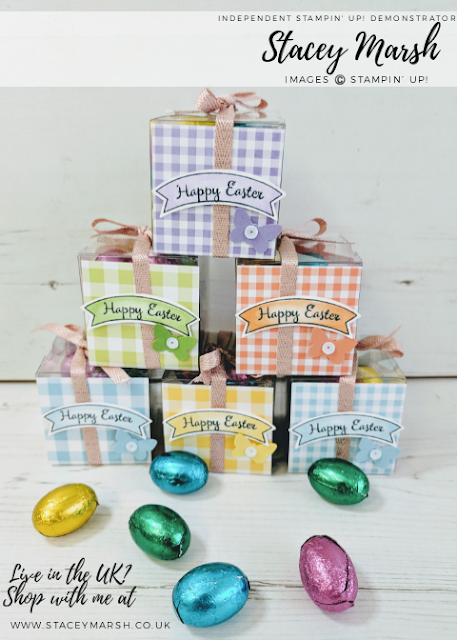 I know I will really miss it but I’m also very excited about the new 5 colours that will be available! I have used a standard C6 card base using Lemon Lime Twist Cardstock with a layer of Whisper White for the background. 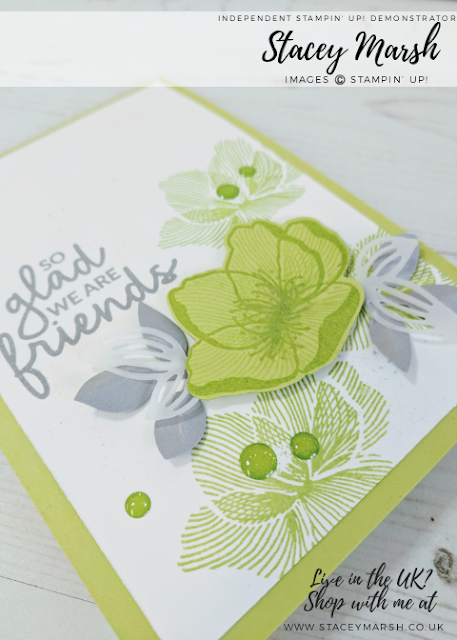 I have stamped 3 flowers in Lemon Lime Twist ink and added a few Granny Apple Glitter Enamel Dots. 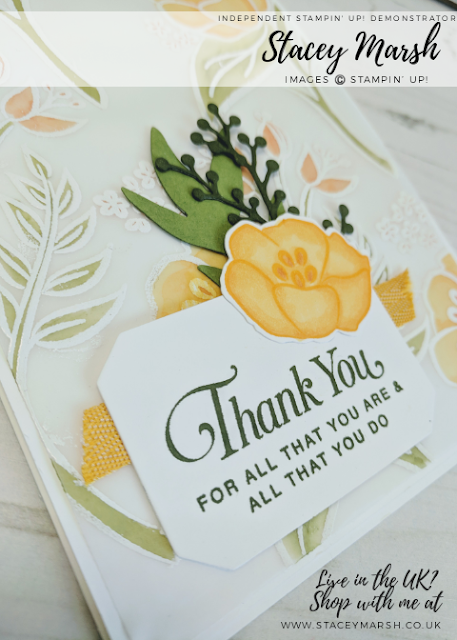 The main flower has been stamped with Lemon Lime Twist ink onto Lemon Lime Twist Cardstock and cut out with the coordinating die. 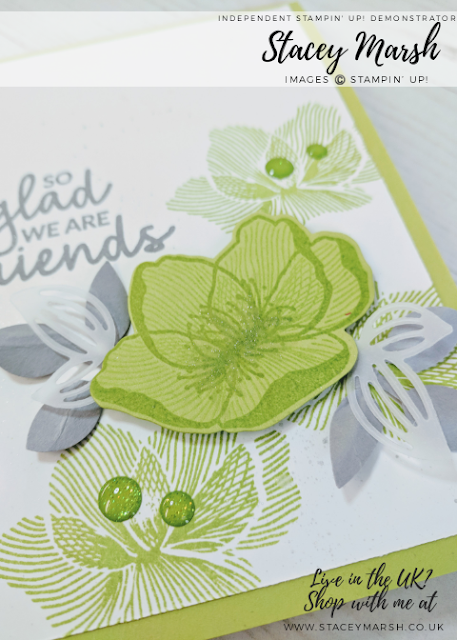 I have used the leaf punch and the detailed leaf die to cut two of each from Velum and Smoky Slate Cardstock. 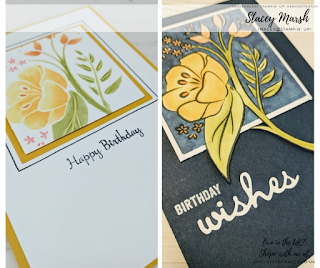 These have been layered under the flower and attached to the card using Stampin Dimensionals. 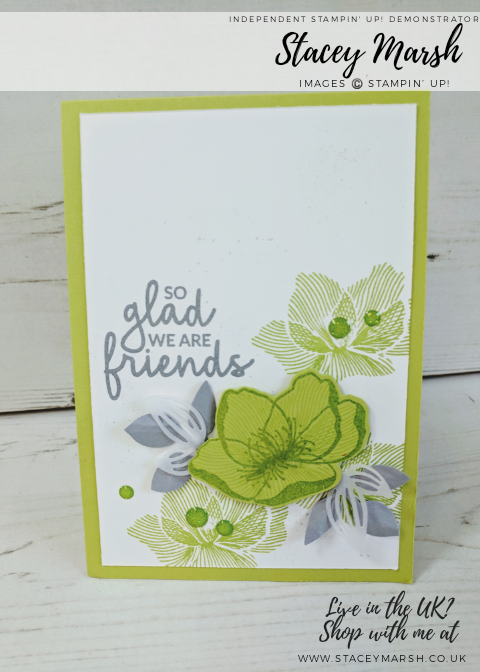 To finish I have added some Champagne Shimmer Paint onto the main flower and stamped the "so glad we are friends" sentiment using Smoky Slate ink.